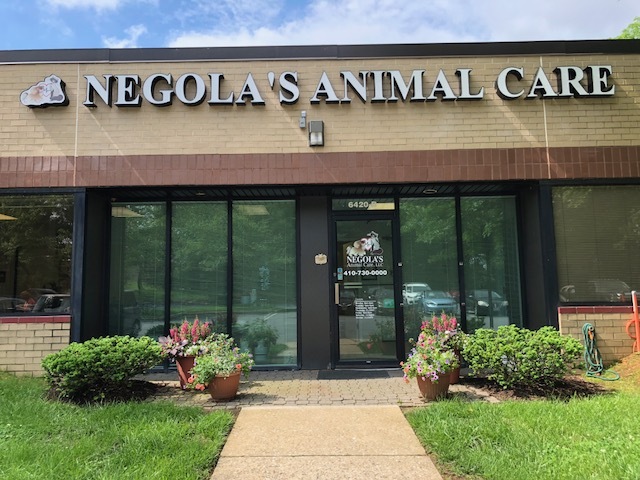 Negola’s Animal Care, LLC, exists to provide our clients with the highest quality veterinary medicine in a caring and professional environment; emphasizing service through a responsive, professional, and communicative staff committed to individual attention and to community service. Negola’s Animal Care, LLC, offers the best and most comprehensive veterinary health care service in the area. Dr. Negola continually stays abreast of current trends in veterinary medicine, and the hospital is continually improving the quality of the practice through the purchase of new equipment and the offering of new medical services. The staff of Negola’s Animal Care, LLC, is sensitive to the needs of the client, and responds with the appropriate sense of urgency to fulfill each client's needs. Each employee understands and is proud of the role they play on the team. Often the client's needs are not the pet's needs and vice-versa. Our staff works hard to determine the needs of our clients and fulfill them through personalized attention and understanding. Each staff member shows, through their daily interactions with clients, that we care. Every effort is made to educate the client to the services available at Negola’s Animal Care, LLC, and the value of each service. Our goal is to exceed your expectations in each and every performance. Dr. Negola strives to develop a bond with the client. Our appointment schedule is constructed to allow ample time for Dr. Negola to communicate with the client. It doesn't stop there, he and his staff provide timely and informative progress reports, and consistently follow up with clients to discuss aftercare. Client education is the foundation upon which our practice philosophy is built. Negola’s Animal Care, LLC, cares about the world we live in, and we aware of the importance of the human-animal bond in our society. Our goal is to strengthen the quality of that bond. Here at Negola’s Animal Care, LLC, all the staff members are motivated to contribute their time to school programs and community organizations and to contribute in making the community a better place to live. Negola’s Animal Care, LLC, realizes that our Mission Statement identifies guiding principles which we strive to follow. In addition, it is expected that the staff will adhere to these principles as well. We strive to have a staff of individuals who are: motivated, dependable, and reliable in their work ethic. We look for individuals who are: loyal, honest, efficient, and committed to the goals we set. We strives to be: inspiring, passionate, respectful, and consistent. Together, we would like to offer to our clients and their pets a staff that is: creative, positive, educated , respectful, and communicates in a loving and nurturing manner. We believe in being good stewards of resources. We believe that honesty is always the best policy. We believe in maintaining a healthy work-and-life balance.